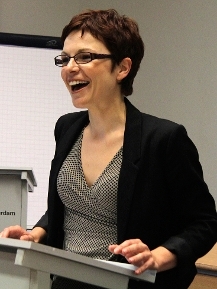 Dr. Marija Bartl forscht am Zentrum für Europäisches Vertragsrecht der Universität Amsterdam. If the economic advancement of the lender states is at least in part attributable to the access to the markets of the debtors, then the latter have a right to solidarity and political redistribution of economic benefits. Building solidarity – as a basis for political redistribution – in Europe from such premises would not be impossible: it is very much in contrast with the self-righteous attitude adopted by lender states today, and condoned by much of mainstream economic theory.